Saypha Volume with Lidocaine is a dermal filler that is used to soften deep wrinkles and improve facial contours. Saypha Volume with Lidocaine is made with hyaluronic acid that works to keep the skin moisturized and hydrated. Treatment with this filler defines and adds volume to areas on the face. Saypha Volume with Lidocaine provides significant results for dry, dull, and dehydrated skin with signs of aging. It also works well on mature skin that lacks volume. This aesthetic filler is formulated with lidocaine, a local anesthetic, for pain management during the injection procedure. 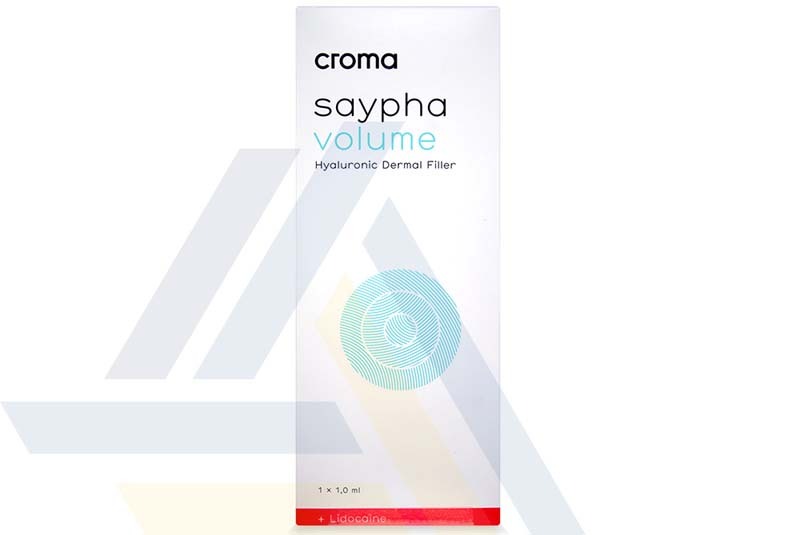 Saypha Volume with Lidocaine is made of 23ml/mg of cross-linked hyaluronic acid. It also contains lidocaine 0.3%. Saypha Volume with Lidocaine is used to treat deep wrinkles and to restore facial volume and contours. The effects of Saypha Volume with Lidocaine can last for 8 to 12 months. Facial dermal fillers, including Saypha Volume with Lidocaine, can cause mild side effects at the treatment area. These mild side effects can include tenderness, swelling, bruising, and redness. These effects usually subside on their own within a week; however, if any of these effects are prolonged or worsen, patients should seek advice from a properly trained medical professional. This filler should only be injected by a trained and appropriately licensed professional into skin that is healthy and non-inflamed; the treatment area should be disinfected with an antiseptic solution prior to treatment. Be sure to use the 27G ½” needle that comes in a package of Saypha Volume with Lidocaine to inject the filler. Post-injection, the skin should be lightly massaged in order to distribute the product evenly throughout the treatment area. Saypha Volume with Lidocaine is not appropriate for everyone; patients with certain conditions are contraindicated from being treated with this filler.